Register for the Hanover YMCA RunFest 2019 today! This 13.1 mile course is a winding loop through Hanover, Pennsylvania. Beginning at the Hanover Y, runners will pass beautiful farmland and scenic views in the Hershey Heights area. With only one significant hill, the race’s total elevation gain is approximately 550 feet. Runners will enjoy a long downhill and cross over into the industrial park ultimately leading them to Hanover’s newly renovated rail trail. The end of the course loops through tree lined streets and ends back at the YMCA. Check-in begins at 7:00 A.M. The race route will close at 11:30 A.M.
1 pennant will be provided to each registrant for decoration at packet pick-up. Pennants will be hung along the race chute in honor of those who have battled cancer. Additional pennants available for purchase. October 19, 2018, 12:00am EDT May 31, 2019, 11:59pm EDT $70.00 Race Fee + $4.20 SignUp Fee ? June 1, 2019, 12:00am EDT August 31, 2019, 11:59pm EDT $80.00 Race Fee + $4.80 SignUp Fee ? 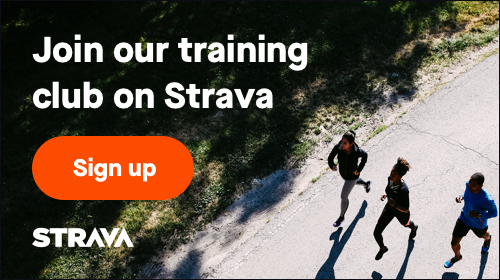 September 1, 2019, 12:00am EDT September 30, 2019, 11:59pm EDT $90.00 Race Fee + $5.40 SignUp Fee ? This youth fun run takes place on the Hanover YMCA outdoor track, located near the RunFest race start/finish. Youth will receive a participation medal. October 19, 2018, 12:00am EDT October 5, 2019, 11:59pm EDT $10.00 Race Fee + $2.00 SignUp Fee ?